Over and over I hear people say that they are cutting out bread in order to lose weight. But, what about all those other sources of carbohydrates? Don’t they matter too? We can’t simply cut out bread and expect it to be the key to weight loss, can we? Not exactly, there are plenty of other factors involved in losing weight. What you really should be thinking about is the total grams of carbohydrates you eat in a day. Recommended levels vary based on each individual’s calorie needs. 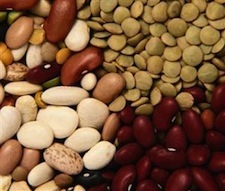 But, as a general recommendation, you should eat at least 120-130 grams of carbohydrates each day. This is likely the minimum that the brain needs to function. 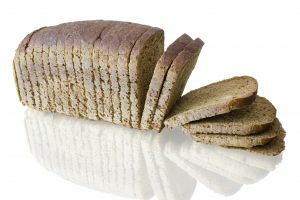 If you cut out bread, but replace it with other processed carbohydrates or sugary treats, it will be counterproductive. If you normally eat processed white breads and doughy products, but then cut them out replacing them with healthier carbohydrate sources, you will likely lose weight. In addition, most people end up eating fewer carbohydrates when they start a no bread diet because they may feel their choices are more limited. Finding the perfect balance of carbohydrates can be tricky. You want to eat enough carbohydrates to properly fuel your body, but decrease the total amount slightly to help with weight loss. For some people, I would recommend cutting down breads in order to explore other healthy carbohydrate options. For others, I would recommend just choosing a higher quality bread source like sprouted breads. What do you think? Have you tried to cut out bread before?